Today’s new music spotlight is on Yumi And The Weather. About: Since first emerging in 2013 with the critically acclaimed ‘All We Can’ EP, Ruby (AKA Yumi) has spent the past few years perfecting her unique blend of electrifying technicolour psych-pop, finally emerging with the long-awaited debut album (released via Ruby’s own MIOHMI RECORDS imprint). Having worked on the live show with longtime friends (AKA The Weather) for the past few years, they are ready to continue their path of destruction, which has included a stint supporting British Sea Power, a slot at Bad Pond Festival and heavy radio support from BBC Introducing: The South, BBC 6 Music’s Lauren Laverne, Shaun Keaveny, Nemone, Don Letts, Chris Hawkins, Guy Garvey and Radio X’s new music guru John Kennedy. 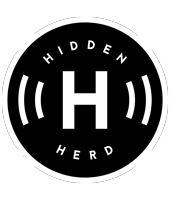 What Hidden Herd say: Yumi And The Weather‘s unique blend of kaleidoscopic psychedelia and dark synth-pop makes for a dazzling combination. Yet to get acquainted with the Brighton quartet? 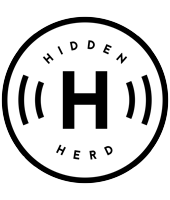 Watch the video for ‘Find Another’ – premiering on Hidden Herd below.